Extrusion is arguably one of the most commonly used processing techniques by food manufacturers. Some of the foods most frequently made by Food Extruder are cereal, pasta, snack cakes, baby food, bread as well as pet food. When it is done properly, extrusion molds and transforms a food item into a more desired form for ingestion. If you are interested in learning more about this technique, keep reading and we'll reveal how extrusion functions at the food processing market. 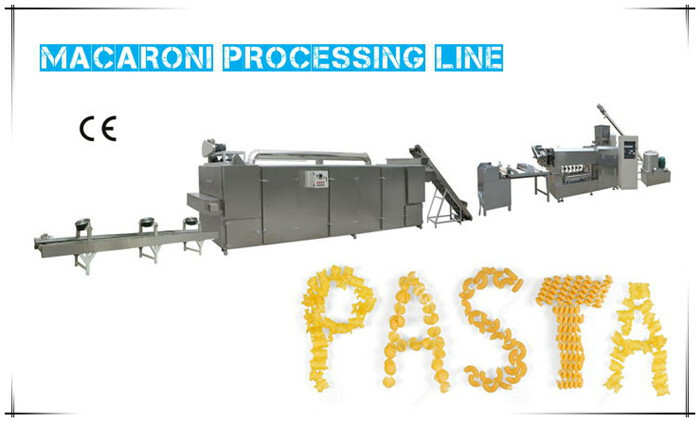 The basic concept of extrusion is that it takes a ground food product and transforms it into a different shape. There are a number of instances when this is necessary, such as the manufacturing of dog food for instance. If you’ve ever read the ingredients on a bag of premium dog food, you may have noticed just how many different ingredients it contains. An average bag of dog food may have chicken, beef, carrots, potatoes, corn and other ingredients. So, how are Pet Food Processing Line Supplier able to force all of these items into such a tiny bit-sized pellet? While there are a couple different ways to accomplish this, the easiest and most effective is through extrusion.